www.simplymagic.com - Vintage Casino Signs Slot Machine Glass from Historic Las Vegas Hotels! Sands Hotel & Casino Auction - WE WERE THERE! 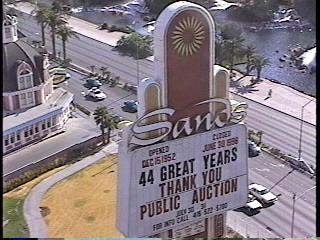 We get a lot of questions about the Sands Hotel & Casino Auction. CLICK the above picture for a 1.2mb video shot during the auction. Click to go to our online store! Own a Real Casino Sign! As you can see in the video much of the slot award glass is not SANDS LOGO glass. 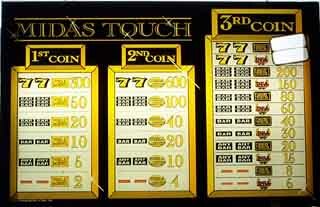 When the Sands Casino closed in 1996 they had many Universal "Magnificent 7s" machines and variations. Remember the 97.6% dollar games where Blue777 wins $1000! They also had many classic Draw Poker type machines and glass, the Dunes had much of the Same. Many of the Award glass we have is the same games. We have 1000's of sheets and most have nothing explaining which hotel they came from. One thing for sure, They are authentic, from Vegas, and of that era. And as you can see from the video, we were there! We should have done a better job at marking which hotel the stuff came from, but at that time we were more worried about shipping and getting it out of the hotel. TREASURE FOUND- Antique CASINO Signs! A Vintage piece of Classic Casino History! 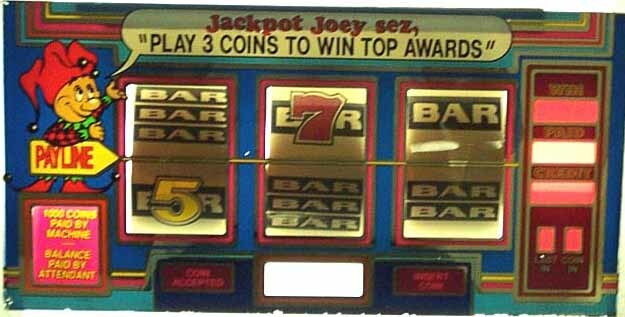 Genuine Casino Signs and Glass Liquidation! These are some of the last available collectors pieces of some truly unique LAS VEGAS and Gambling Antiquities. These Casino Signs are the real thing! We recently Hit the Jackpot and acquired a secret stash of Classic and Antique Universal, Bally, IGT, Seeburg, Sigma and other Genuine Casino signs and glass! Many Authentic Casino Used signs are from the "Rat Pack", "Casino" and "Ocean's Eleven" era. If these slot machine and poker signs and displays could talk imagine the stories!